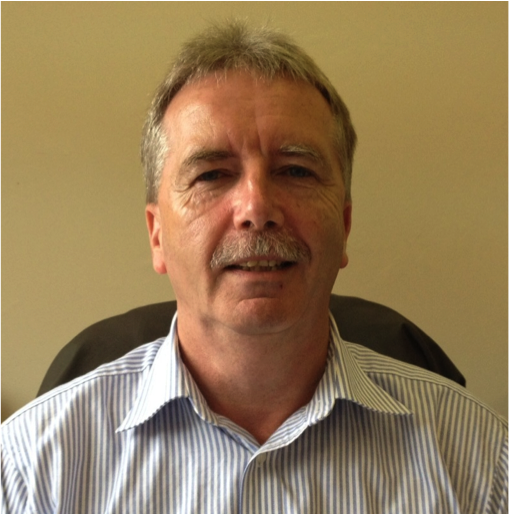 Particularly on submersible platforms space, mass and mast sites are at a premium. This, alongside the increasing capability requirements of our customers, means new technology is necessary to enable a RESM antenna array for wide band (>40Ghz), high probability of intercept (HPI) reception with the lowest loss, distortion and error to be achieved in the smallest of spaces. (same is also true for Bi-static radar applications). PE Composites have developed several solutions to this challenge. Presented here is one solution for a direction finding (DF) array with its compatible Omni Array. 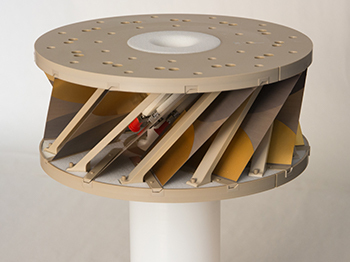 The DF section is a Slant Polarised, 12 element array using an antipodal Vivaldi antenna specially engineered to be perfect when used for a High Probability of Intercept (HPI) RESM with BISTATIC and MULTISTATIC capability, within a compact footprint 250mm diameter (10 inch). Set in a complimenting non-invasive structure and enables use with a 45 deg polarisation. 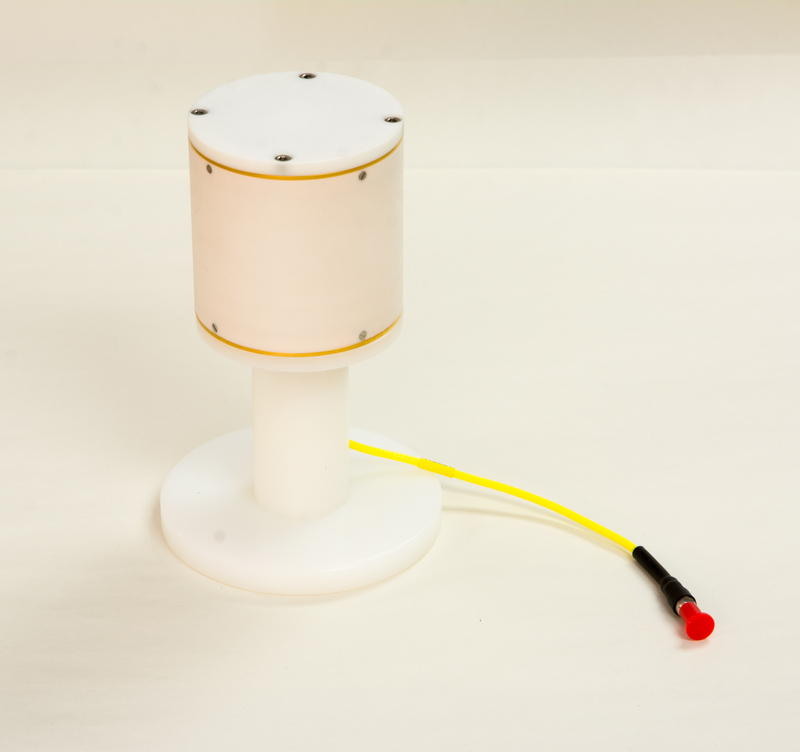 The light weight array structure is machined to very close tolerances using low dk materials and PCB technology for production and performance accuracy/repeatability of this AVA_47 antenna. 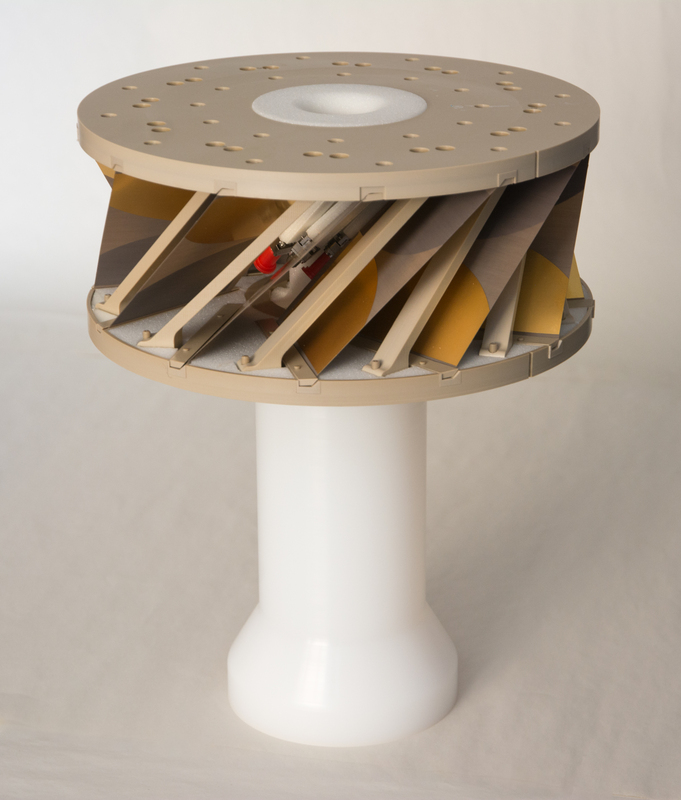 The Omni antenna section is a Dome-Dipole antenna, (fitted normally above the DF array itself), with a 1.7GHz-40GHz ultra-wideband performance, (shown conventionally polarised here) but if used as part of a RESM array we would recommend it to have an additional low loss 7 layer, air spaced polariser section enveloping it to provide for slant polarisation across the band. PEC have the necessary capability to design the front end assembly and incorporate front end low signal Rf and data/optronic paths and functions. The units are built by PEC to high mechanical and environmental “mil spec” standards. The size and capability make it very suitable for fitting as part of a low-profile submarine mast or fitted in an advantages masthead position on a smaller craft. 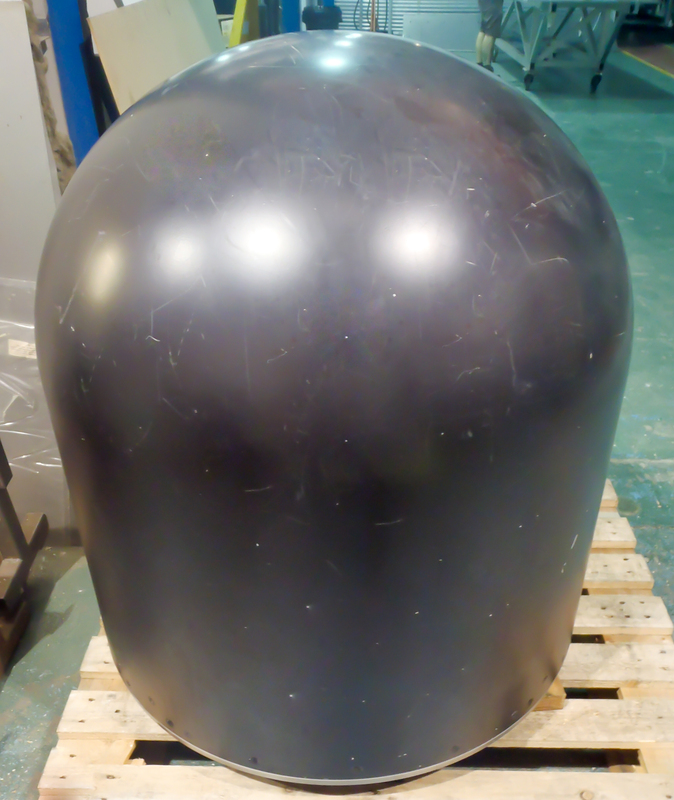 The use our advanced low loss composite radome materials aide performance. The DF array structure can be incorporated into a number of builds and build standards, reflecting purpose and mechanical/environmental requirements. Contact us with your requirements. PEC have the necessary capability to design the front end assembly and incorporate front end low signal Rf and data/optronic paths and functions. Direction Finding & Omni Arrays. Compact Ultra-Wide Band (1.7GHz-40GHz). PE Composites design and build ultra-wide band antenna arrays for performance applications.